The success of a business or organization depends of proper planning and documentation. 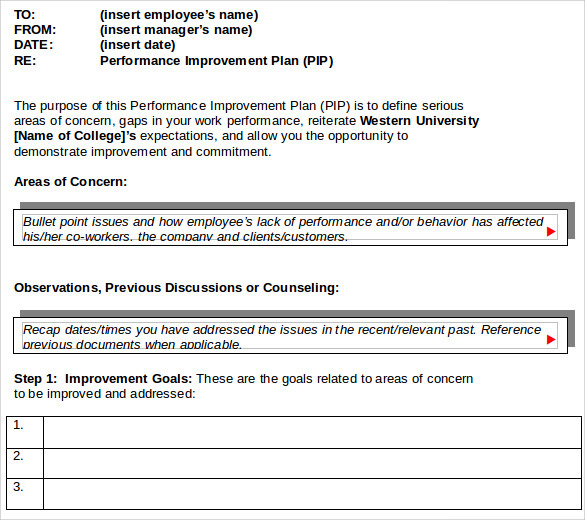 If an organization needs to improve on some areas, then it must to have an Performance Improvement Plan Template. We need to maintain the template in a word document for future access. 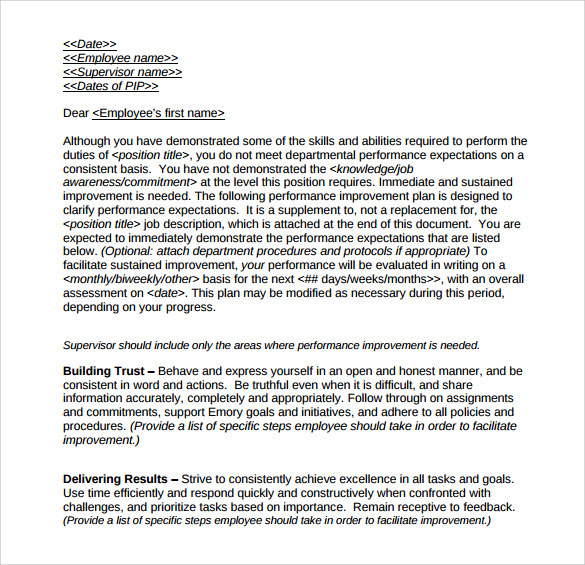 The template includes employee name, position, manager name, date of plan, period of plan, interview and final review date. Also, it is very important to mention the area for improvement to see the progress level. 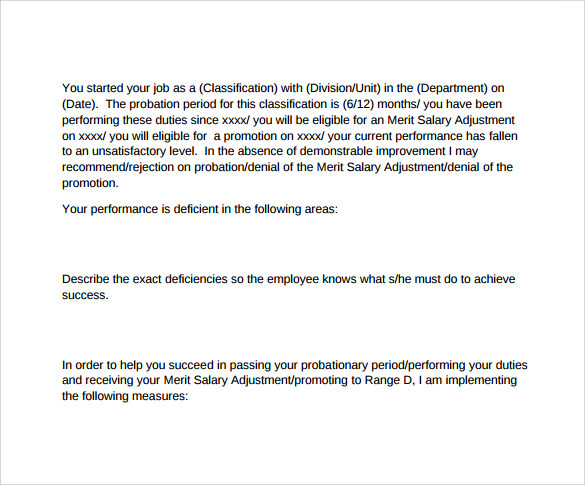 Also, you can question yourselves asking; in what all ways we can improve. This question is very important and we have to go abide the improvement plans. 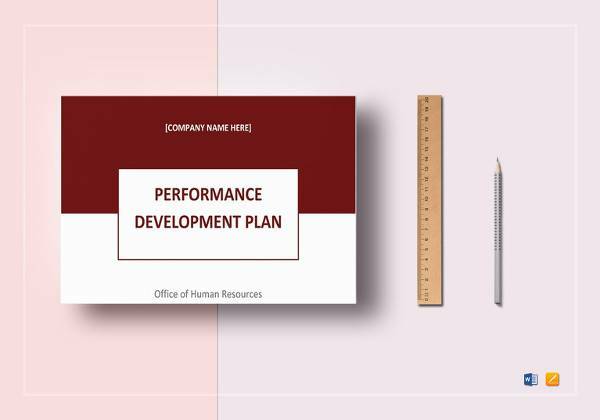 The Employee Performance Improvement Plan Template is one of the leading solutions to map your performance in various domains including sales, training, communications, and others. These templates can be customized to meet desired purposes by simply entering a few details. 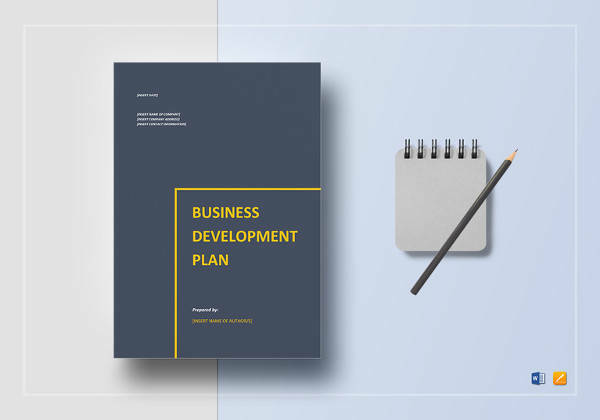 The Continuous Improvement Plan Template for Business Process helps you to analyze various areas where your business require improvement, and assist in creating a detailed plan with a planned strategy to help you accomplish the proposed activities with ease. 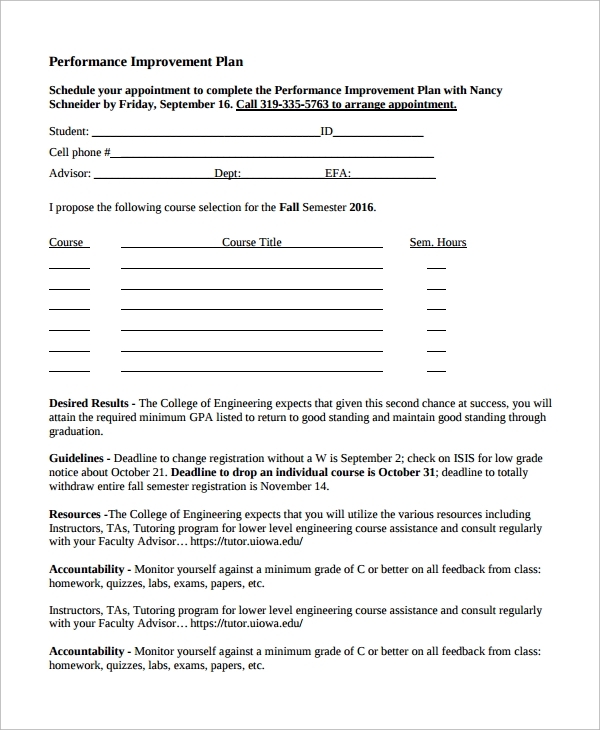 Finding its high usage in the education and coaching industries, the Student Performance Improvement Plan Template can also be customized to use at home for mapping your kids performance and assisting them to perform better. 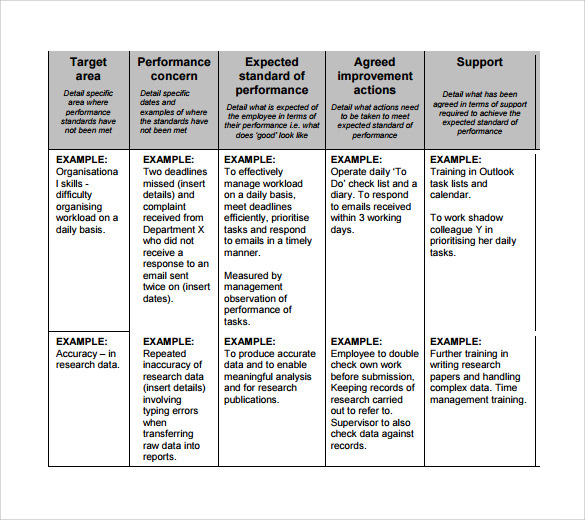 Downloading and using these templates enable employees, students, businesses, stakeholders, and even individuals to stay organized, managed, and right at the track of improvement by deciding their future moves in advance. 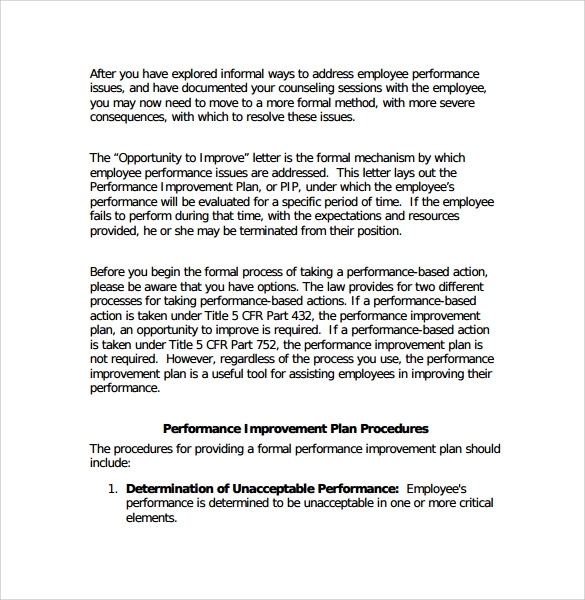 Click, download, customize and print these templates to form a detailed performance improvement plan that can portray your accomplishments with ease. 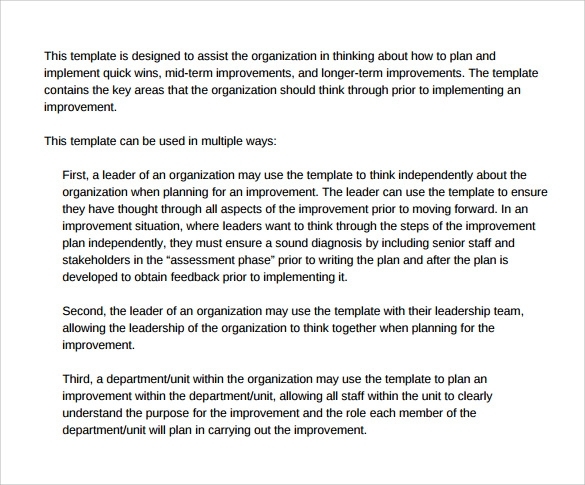 You may like Succession Planning Templates. Saving a lot of time and money, all of these readymade templates are highly professional and can be modified to meet various purposes with ease. 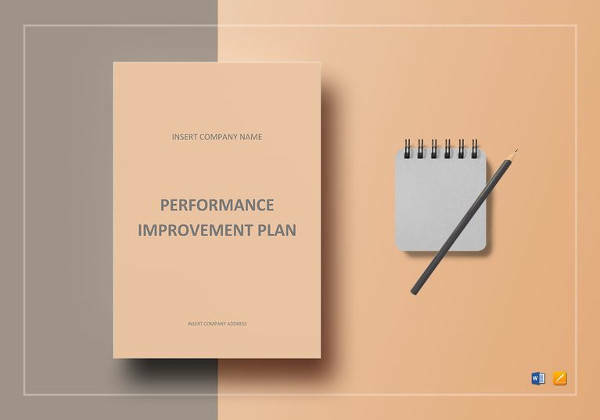 All you need to do is to answer all the things that are mentioned in the template to create a detailed performance improvement plan in a few minutes. 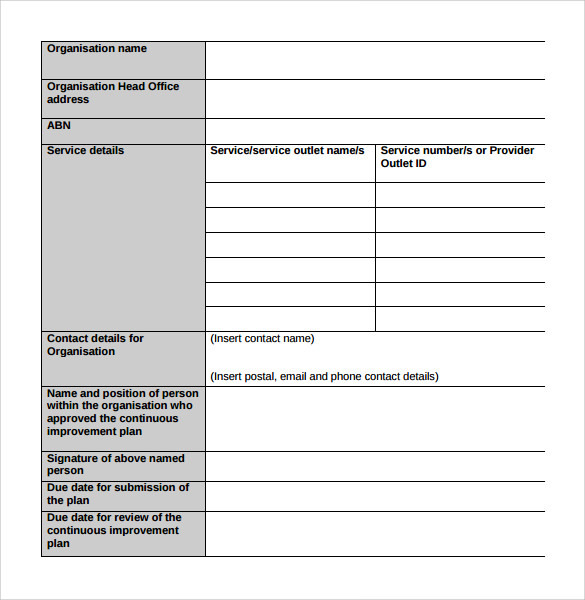 You can also see Continuity Plan Templates. 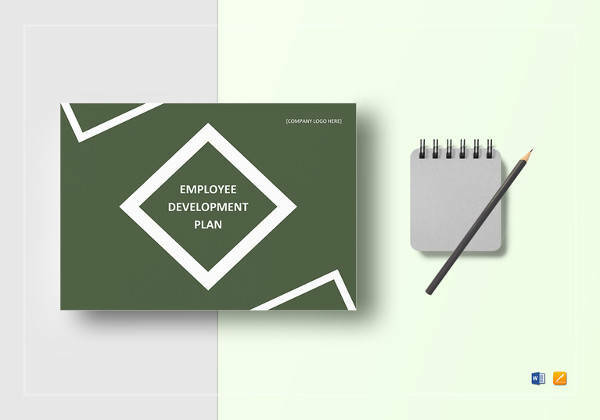 The template is segmented in various sections including personal details, goals, and objectives, mission behind the plan, strategy to achieve it, and measures to map the progress. Coming in various formats and versions, all these templates are ready to use by adding the required text. You can also see Meeting Planning Templates. 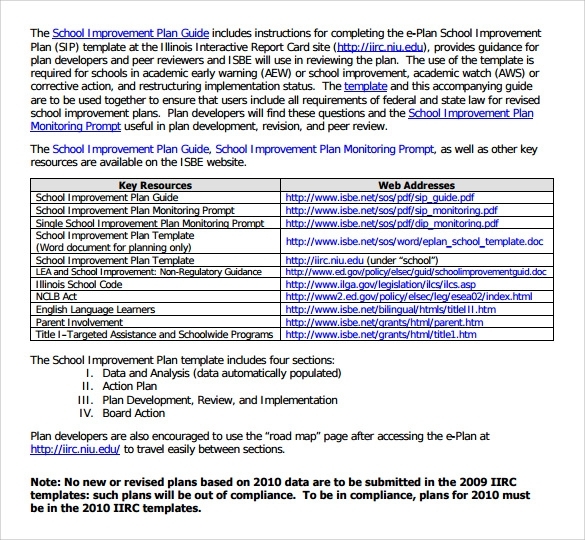 You can download, create, draft, modify, publish, and map the performance of an individual, team, business, or student to measure their accomplishments and design future plans and policies for them. 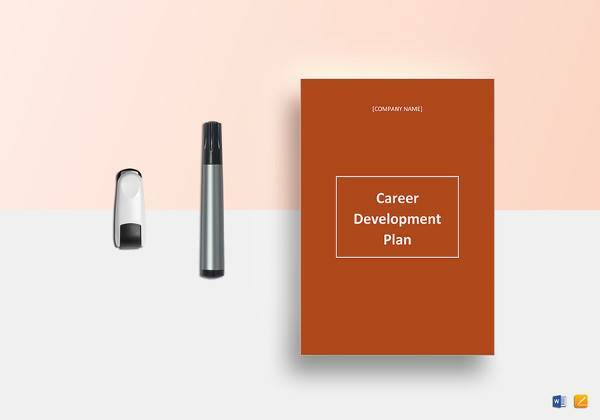 These templates can be customized, modified, and edited to serve your desired purpose and can bring measurable results in a week, month, or quarter.